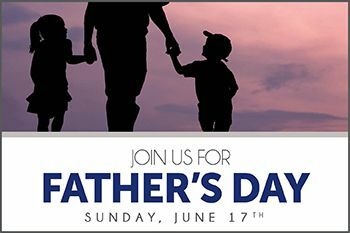 Father's Day Champagne Buffet & Dinner! - Homemade Desserts and Much More! Plus, Bottomless Mimosas, Bloody Mary Bar, Dad’s Basket Giveaway and Welcome Manhattans For Dad! *While supplies last. Advance deposits required to secure reservation. Menu subject to change. Reservation cancellations must be made 24 hours in advance.